Xamarin is an open source platform which enables the development of applications for multiple mobile platforms. This technology saves time and budgets for development without compromising quality. In cross-platform development, the code and design elements for one platform are partially used when combining one app with another. This approach promises a solid development process optimization level. Xamarin is one of the best tools for such solutions. Combining the technology capabilities with our ample experience, we strive to provide you with the best solution that will fully meet your business objectives. Lvivity is among the leading companies conducting Xamarin-based development in Ukraine, and we provide a full range of services in this area to meet business needs. Xamarin App Development We are experienced in developing fast and powerful cross-platform applications focusing on the iOS and Android mobile platforms. Our developers proudly use their expertise to provide you with a truly high-quality product. 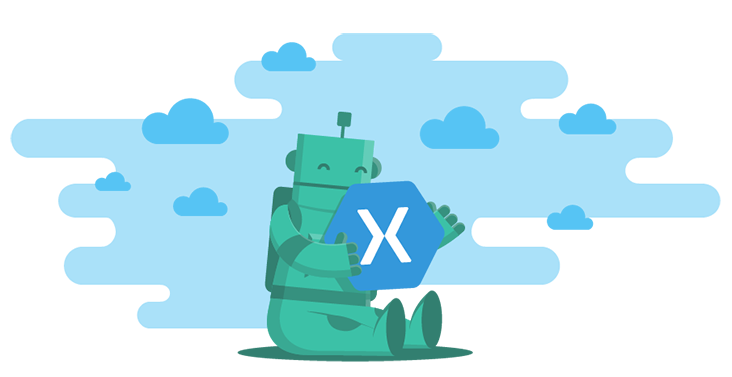 Xamarin Consulting We are ready to analyze your application code, fix errors, help you optimize performance, and provide a higher-quality solution that exceeds the original version. Migration and Support We will arrange a quick and safe migration of your application to Xamarin, as well as provide high-quality continued support. Applications developed on Xamarin are comparable to native ones in terms of performance and user experience quality. When creating a product for different platforms, more than 30% of the code is utilized as a single base, thus significantly reducing development time and financial expenditures. Xamarin is based on the C# development language on the .NET platform, guaranteeing compatibility with all operating systems and wide target audience coverage. You can take advantage of the built-in user interface and hardware acceleration for the platform. As the platform’s ecosystem continues to develop, its capabilities are expanding, and now, we can safely qualify this technology as the future of mobile development. Lvivity is a reliable technological partner focused on building long-term relationships with customers. We have rich experience in successful application development meant for different business areas, and we are ready to help you bring the most daring ideas to life!